Here is the photo of me receiving Clint Painting Competition Prize from Kerala Tourism Minister Sri A P Anilkumar in the presence of Sri Suman Billa IAS (Secretary, Kerala Tourism), Sri P I Sheik Pareeth IAS (Director, Department of Tourism), Sri Vijayan Thomas ( KTDC chairman), Ms. Anupama.T.V. IAS Addl. 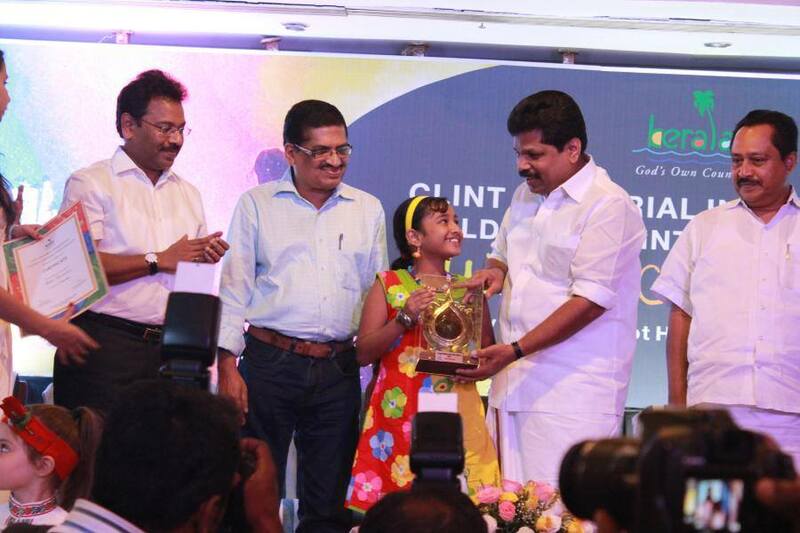 Director (General) of Kerala Tourism) and Sri K A Francis (Chairman Kerala Lalithakala Akademy), at Mascot Hotel, Trivandrum on November 18, 2014. It was a wonderful experience to be on that stage receiving this award. 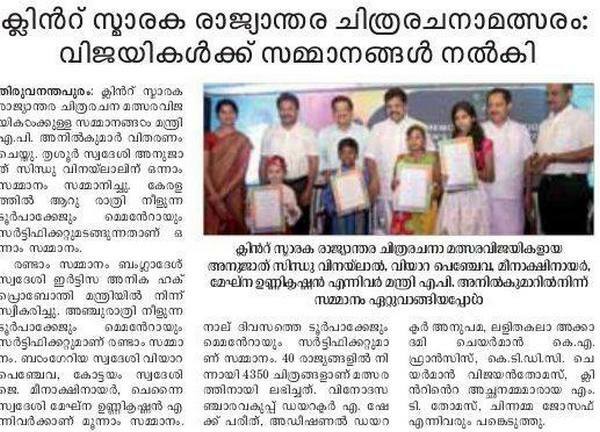 News appeared in the Mathrubhumi, Deccan Chronicle Newspapers the next day. A 4 nights/5 day Kerala tour package was also awarded to me. We were provided with to and fro flight tickets, resort accommodation in various places like Kovalam, Kumarakom, Alleppey, Thekkady and Cochin. 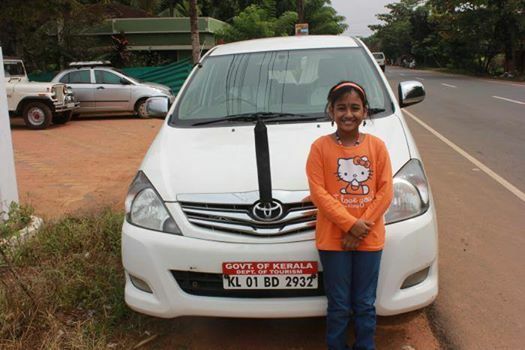 A vehicle from the Tourism Department was also allotted to us for these 6 days by Kerala Tourism. Everything was arranged in a very good manner. Thank You Kerala Tourism and Invis Media. Special thanks to Shri. Prasanth and Ms. Lakshmi (Invis Media) for corresponding with us and making all arrangements. We had a great time.